The good photograph is not the object, the consequences of the photograph are the objects. I believe that the camera is a powerful medium for communication and I believe that the camera is a valuable tool for social research which has not been developed to its capacity. The exhibition will feature over one hundred vintage prints taken between 1933 and 1957, accompanied by documents and screenings which broaden the scope of the photographer’s oeuvre. 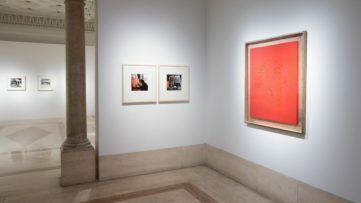 The majority of prints are drawn from the collection of the Oakland Museum of California, which holds a considerable archive donated by Lange’s husband Paul Shuster Taylor after her death. 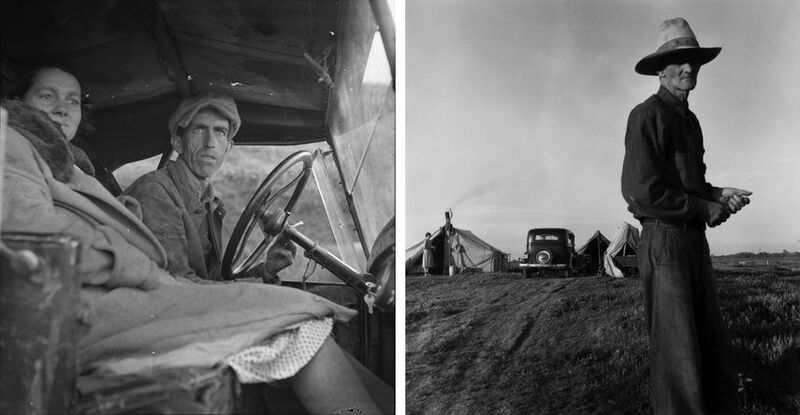 With her powerful and emotional body of work, Dorothea Lange influenced generations of documentary photographers. Borrowing techniques from the lexicon of modernism, such as dramatic angles and dynamic compositions, she produced startling images of her subjects which subtly direct the viewer to a fresh appreciation of the individual’s plight. Combining art and documentation, she produced beautiful, moving, and campaigning images, developing her signature style of photography. Forming a personal relationship with her subjects, her images were accompanied by captions which relate information gleaned from her conversations with them. In this way, she thereby considerably enriched the informative quality of the visual archive and produced a form of oral history for future generations. The exhibition will feature major works by Lange, with several series being shown in France for the first time. It features five specific series: the Depression period (1933-1934), a selection of works from the Farm Security Administration (1935-1939), the Japanese American internment (1942), the Richmond shipyards (1942-1944) and a series on a Public defender (1955-1957). 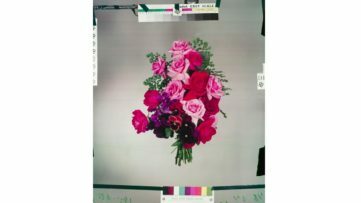 In addition to the prints, a selection of personal items, including contact sheets, field notes and publications allow the public to situate her work within the context of this troubled period. When the Great Depression began in 1929, Lange observed the unemployed homeless people in the streets of San Francisco and decided to drop her studio portrait work because she felt that it was no longer adequate. Starting from San Francisco, she traveled the USA for the next two yearsand documented the social impact of the recession, creating her most famous body of work. At the same time, she captured many uplifting moments which showed that, despite the hard times, life and love went on. 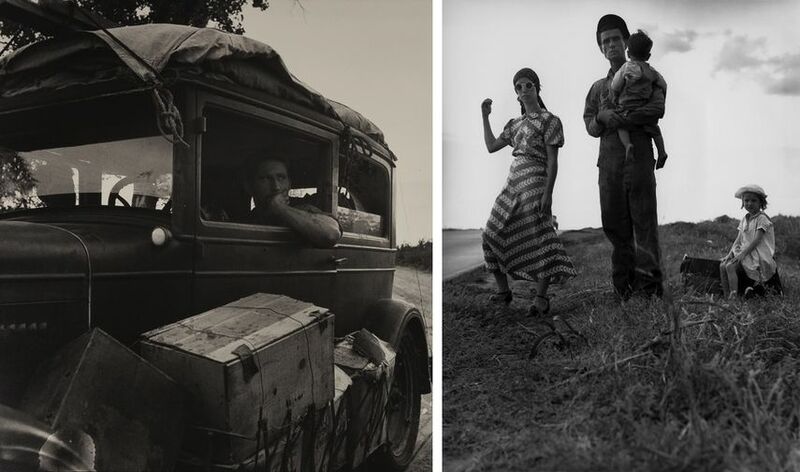 In 1935, she began working for the Farm Security Administration with several other photographers on preparing the pictorial documentation of rural areas and problems and present them to the American government and people. Capturing the plight of the poor and the successes of federal programs, these photographs represented an important watershed moment in the history of photography. One of the most celebrated images from this body of work is a depiction of a migrant family – a mother and her children in a camp. While her images of the Great Depression are iconic, her photographs of Japanese-Americans interned during the Second World War were only published in 2006. In 1942, Lange was hired by The U.S. War Relocation Authority to document the relocation process of Japanese-Americans in the Pacific Coast area, but faced with the disturbing racial and civil rights issues, she quickly found herself at odds with her employer. Her images capture the spirit of the camps, frequently juxtaposing signs of human courage and dignity with physical evidence of the indignities of incarceration. Twenty-seven photographs from this series were incorporated at Whitney’s 1972 exhibition about the Japanese internment, Executive Order 9066. Throughout her career, Lange continued to document major issues of the day, including the economic and social development due to industries engaged in the war effort; and the criminal justice system through the work of a county public defense lawyer. Her powerful oeuvre highlights her deep desire to denounce injustices and change public opinion. One should really use the camera as though tomorrow you’d be stricken blind. 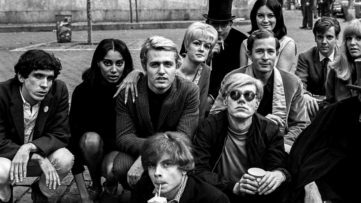 To live a visual life is an enormous undertaking, practically unattainable, but when the great photographs are produced, it will be down that road. I have only touched it, just touched it. 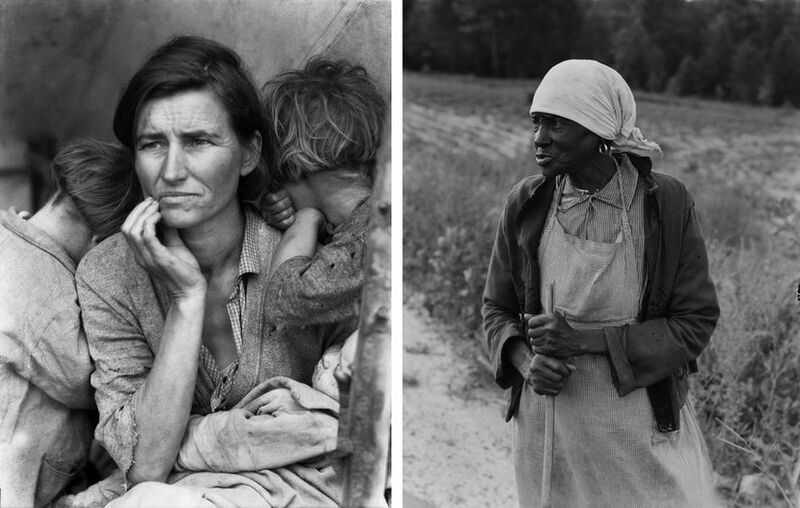 Curated by Drew Heath Johnson and Pia Viewing, the exhibition Dorothea Lange. Politics of Seeing will be on view at Jeu de Paume in Paris from October 16th, 2018 until January 27th, 2019. This exhibition is the first exhibition of the photographer’s work in France in twenty years. It is organized by the Oakland Museum of California and the European presentation has been produced in collaboration with Jeu de Paume, Paris and Barbican Art Gallery, London. This riveting book opens with Lange’s Bay Area portraits of the 1920s and ’30s when her photo studio formed a hub for San Francisco’s bohemian and artistic elite. 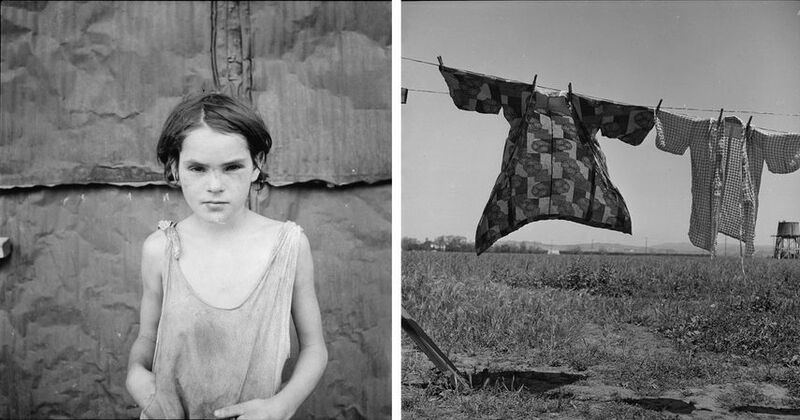 It offers a generous overview of her work with the Farm Security Administration, where Lange was the only female photographer documenting the impact of the Depression and Dust Bowl on the west coast, working alongside the likes of Walker Evans, as well as her pictures of Japanese Americans forcibly displaced into internment camps following Pearl Harbor. The depiction of a migrant mother and her children remains among her most recognizable images. It also includes images from her wartime shipyards series with Ansel Adams, postwar projects on the injustices of the American court system, loss of a community through the damming of the Putah Creek, and a photo series on Ireland. Accompanying these superbly reproduced images are thoughtful essays by curator Drew Johnson, critic Abigail Solomon-Godeau, and writer and curator David Campany, which offer appreciations of Lange’s work as an artist and humanitarian, charting the legacy of her exceptional photographic oeuvre. Featured image: Dorothea Lange – Unemployed lumber worker goes with his wife to the bean harvest. Note social security number tattooed on his arm. Oregon, 1939. Dorothea Lange © The Dorothea Lange Collection, the Oakland Museum of California; Dorothea Lange – Migrant Mother, Nipomo, California, 1936. 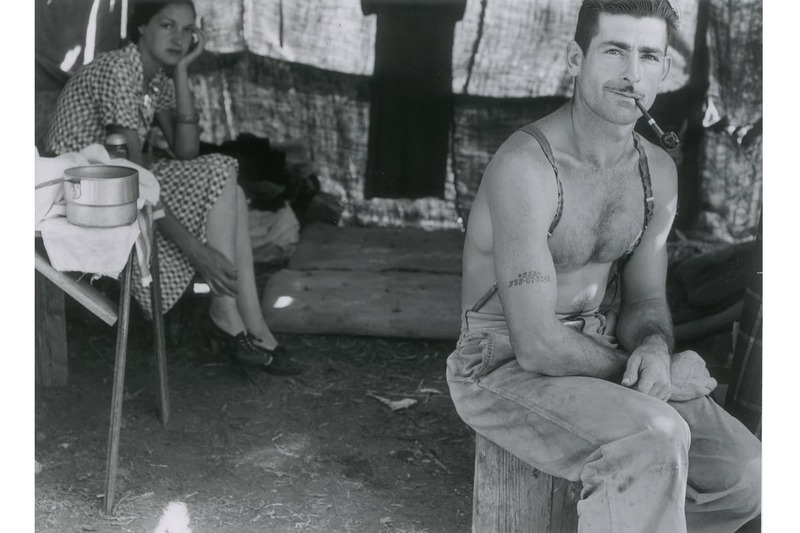 Dorothea Lange © The Dorothea Lange Collection, the Oakland Museum of California, City of Oakland. Gift of Paul S. Taylor; Dorothea Lange – Manzanar Relocation Center, Manzanar, California, 1942. 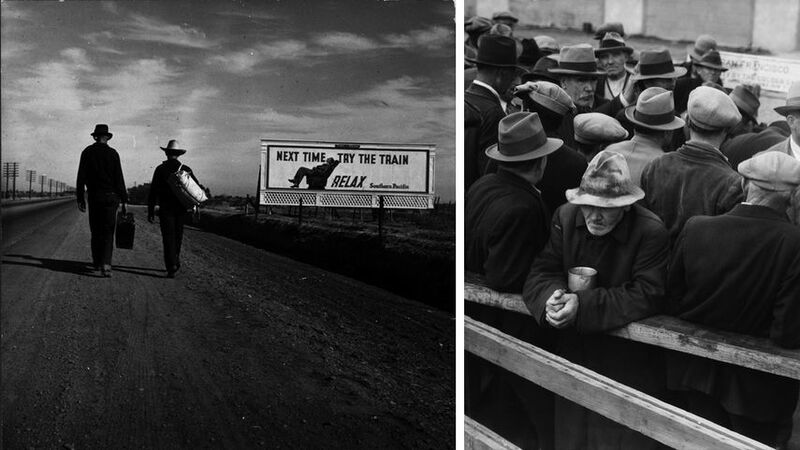 Dorothea Lange © The Dorothea Lange Collection, the Oakland Museum of California, City of Oakland. Gift of Paul S. Taylor; Dorothea Lange – Drought-abandoned house on the edge of the Great Plains near Hollis, Oklahoma, 1938. Dorothea Lange © The Dorothea Lange Collection, the Oakland Museum of California All images courtesy of Jeu de Paume.